The MIAA baseball regular season has officially reached its final week and with it a number of teams find themselves locked in high profile games. This week sees Mansfield creep into the top five, Franklin climb back into the top 10, and St. Peter-Marian charge into the top 20. With a number of teams vying for Super Eight consideration as well as positioning in their respective sectionals the final week of the season is sure to be exciting. For now, courtesy of SuiteSports’ panel of correspondents, writers, and editors here is our updated MIAA Baseball Top 25 Poll. Check back in next Tuesday when we unveil our final top 25 poll of the regular season. 1. Wachusett (18-1; Last Week: 1) Wachusett continues to pile up the runs as they put up eight against Algonquin and 15 more on Grafton. They have all but locked up a top three spot in this year’s Super Eight tournament but games this week versus St. Peter-Marian and St. John’s Shrewsbury will give them a chance to secure the top seed. 2. Austin Prep (17-1; Last Week: 2) Colin Jaena delivered in the clutch on Memorial Day versus Reading to keep the Cougars in the thick of the Super Eight hunt. A Thursday showdown versus Belmont could be make-or-break. 3. St. John’s Prep (13-4; Last Week: 3) St. John’s Prep survived a pair of scares this past week, sneaking past St. Mary’s before walking-it-off versus Swampscott. Tyler MacGregor has been clutch for the Eagles all season long. 4. Mansfield (18-3; Last Week: 6) The Hornets supplanted themselves as legitimate Super Eight contenders with a huge 8-1 win over Walpole on Friday and have a chance to put the finishing touches on the resume this upcoming Thursday. 5. Masconomet (17-2; Last Week: 5) It is tough to tell where the Chieftains Super Eight chips will fall come Sunday, but one way or another they have proven they are one of the top teams in the Bay State. 6. Boston College High (13-5; Last Week: 7) As they seem to do year-in and year-out, the Eagles are playing their best ball to close the regular season. They have won six straight games, scoring at least seven runs in each contest. 7. Central Catholic (13-5; Last Week: 4) The Raiders were considered a Super Eight lock just two weeks ago, but all of a sudden a regular season finale showdown versus Andover could be crucial. 8. Andover (13-4; Last Week: 18) As their schedule has heated up, so too have the Golden Warriors’ whose pitching staff continues to be outstanding. They have yet to allow more than three runs in a game. 9. 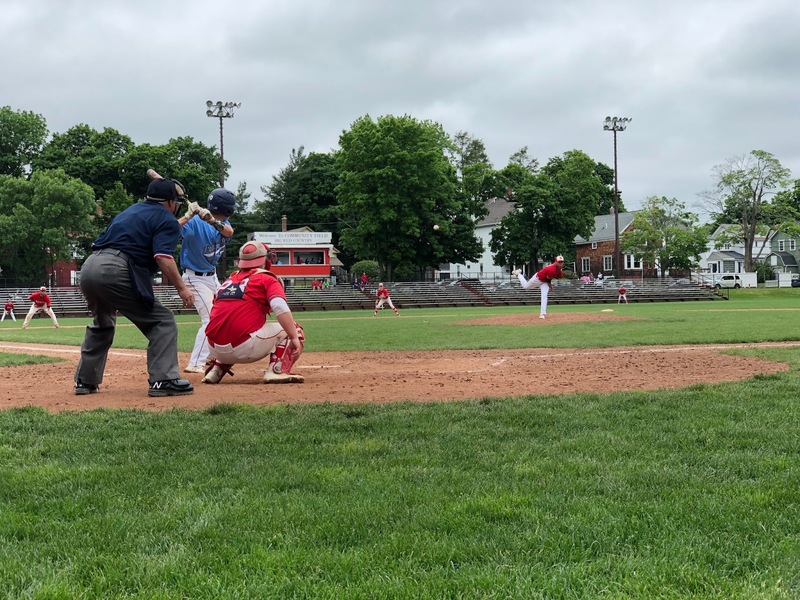 Franklin (17-5; Last Week: 12) Jake Noviello put the capper on a solid regular season with an eight inning gem to lift Franklin past North Attleboro. The question now is whether or not the Panthers season was super enough…. 10. Lexington (14-6; Last Week: 14) Sal Frelick’s three run shot that propelled Lexington past Wellesley on Friday still hasn't landed. 11. North Attleboro (16-2; Last Week: 10) North Attleboro fell on the short end of a terrific pitcher’s duel against Franklin in which Nick Sinacola struck out 12 over 7.1 innings. 11. Xaverian (12-7; Last Week: 13) The Hawks rebounded from a tough loss to Norwood on Friday with a 5-4 win over Bishop Hendricken (RI) on Monday. A game on Wednesday versus Wellesley looms large for the resume. 12. Plymouth North (15-3; Last Week: 9) Blue Eagles fell to Xaverian early in the week before bouncing back with a 4-0 win over Hingham to claim the league title. 13. 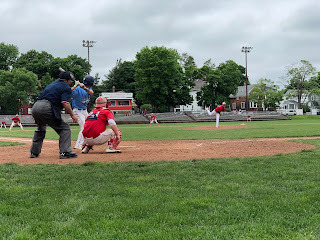 St. John’s Shrewsbury (13-7; Last Week: 8) Tom Moschella came through in the clutch, launching a grand slam in the top of the seventh inning to give the Pioneers a much-needed win over Braintree on Friday. Thursday’s game versus No. 1 Wachusett is as big as it gets. 14. Beverly (15-3; Last Week: 17) The Panthers clinched a share of the Northeastern Conference’s North division with a 16-1 win over Marblehead. 15. Walpole (12-5; Last Week: 11) A loss to Mansfield on Friday puts the Rebels squarely on the Super Eight bubble. Three huge games are on the docket to close out the regular season versus Silver Lake, Braintree, and Newton North. 16. Wellesley (14-5: Last Week: 16) Raiders grinded out two one run wins over Weymouth and Natick before falling to Lexington. They have a pair of chances to make a season ending statement as they take on both Xaverian and Algonquin. 17. Brockton (14-4; Last Week: 21) Zach Sylvia, Ian Nadeau, and Chris Carbornara continue to be the fulcrum of a Boxers staff that will be tough to dethrone come the tournament. 18. St. Peter-Marian (13-4; Last Week: 24) The Guardians are the hottest team in Massachusetts right now and have a chance to really raise some eyebrows with high-profile games this week versus Wachusett and St. John’s Prep. 19. Belmont (13-5; Last Week: 19) Marauders suffered a difficult loss to Lynnfield and will now try and lock up the Middlesex League's Liberty title when they take on Reading on Tuesday afternoon. 20. Catholic Memorial (12-8; Last Week: 20) Knights’ bats were stymied by Boston Latin’s Asher Kaplan but finished the regular season with wins over teams currently ranked No. 1, 3, 6, 7, and 10 in our poll. 21. Lynnfield (14-4; Last Week: NR) It was a terrific Memorial Day weekend for Lynnfield as they took home the Brendan Grant Memorial Tournament trophy with wins over Burlington and Belmont. 22. Danvers (12-5; Last Week: 22) Falcons fell in their only contest of the week to Austin Prep, 5-0. 23. North Andover (12-6; Last Week: 15) The Scarlet Knights up-and-down second half of the season continued over the last week. They defeated Nashoba on Saturday afternoon but fell in a tight contest to Dracut on Monday. 24. Brookline (13-6; Last Week: 25) Warriors are shaping up to be one the more dangerous teams in Division 1 South when the postseason begins next week. 25. Boston Latin (14-5; Last Week: NR) After a terrific win over Catholic Memorial to close out the season, the Wolfpack move into our top 25 poll for the first time this season.